Marta Ptaszyńska is one of the best known Polish woman composers. Born in Warsaw, Poland, and living in the United States since 1972, she has been musically active in both the U.S. and Europe. Also widely recognized as a virtuoso percussionist specializing in performances of contemporary music, she has appeared on many new music festivals, and premiered numerous percussion works. In her native Poland Ptaszyńska studied composition with Tadeusz Paciorkiewicz and percussion with Mikołaj Stasiniewicz and Jerzy Zgodziński. In 1968 she earned three Master of Arts degrees with distinction in composition, music theory and percussion at the Academy of Music in Warsaw and Poznań. In the early seventies she continued her composition studies with Nadia Boulanger and electronic music at the ORTF Center in Paris, and then percussion at the Cleveland Institute of Music in the U.S., where she received an Artist Diploma Degree in 1974. At the Institute she worked with Cloyd Duff, Richard Weiner and Donald Erb. Since 1970 she has been teaching composition and percussion first at the State College in Warsaw and then successively at Bennington College in Vermont, the University of California in Berkeley and Santa Barbara, and Indiana University. For many years Ptaszyńska has been in demand as visiting lecturer and clinician, and has given master classes, lectures and concerts at many colleges, universities, and music schools in the U.S.
Ptaszyńska has received numerous awards, grants and commissions over the years, including a second prize at the International Rostrum of Composers at UNESCO in Paris, the Polish Radio and Television Composers Award, and a medal from the Union of Polish Composers. Her works for percussion instruments have won critical acclaim around the world and have received prizes from the Percussive Arts society in the U.S. for Siderals in 1974, for Classical Variations in 1976, and for Concerto for Marimba and Orchestra in 1987. Her music has been performed in many countries and has been presented at prestigious international festivals of contemporary music including the ISCM World Music Days, Warsaw Autumn, Schleswig-Holstein Music Festival in Germany, Aspen Festival, Gulbenkian Foundation New Music Festival in Mexico City, International Cantata Oratorio Festival in Wrocław, Poland and the Percussive Arts Society International Conventions in the U.S. 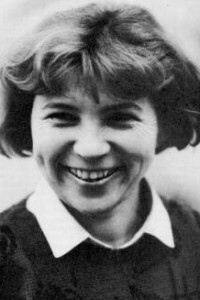 Many of her works have been premiered by such artists as Lord Yehudi Menuhin, Mathias Bamert, Jerzy Maksymiuk, Keiko Abe, Bertram Turetzky, Nancy Allen, Roman Jabłonski, Ewa Podleś, and by such renowned ensembles and orchestras as the Cleveland Orchestra, the Polish Chamber Orchestra, Sinfonia Varsovia, Warsaw Percussion Group, and Les Percussions de Strasbourg.